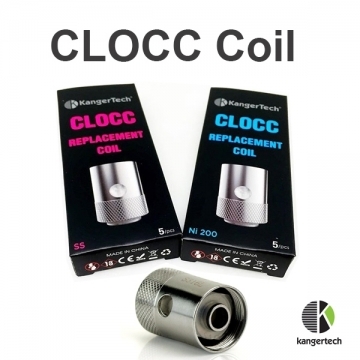 Replacement coil head to CLTANK avaiable in 2 options. Price per 1pc. CLOCC Kanger CLTANK Coil is dedicated to CLTANK clearomizer. There are available 2options. Coils 0,5ohm made from SUS316L and 0,15Ohm made from Ni200. Please remember that coils Ni200 must be operated by mods with temperature control system.